Lars Holger Holm studied and graduated from the Stockholm Music Academy in 1976 and received his Chamber Music Diploma after studies with the Amadeus Quartet at the Cologne Music Hochschule (1982). Lars is also the founder/ first violin, of the Swedenborg Quartet, which toured much of Europe and North America. The group also collaborated with Max Roach's Double Quartet (1983-1990). Lars also founded,and was Concert Master, of the Stockholm New Chamber Orchestra. He was the Concert Master at the Symphony Orchestra Melun-Senart, Paris (1985-1987). From 1980 to 2009, Lars was a full time or temporary (free-lance) playing member in international orchestras such as the Royal Stockholm Philharmonic Orchestra, Miami Symphony Orchestra, and Royal Danish Opera Orchestra. At present, Lars also acts as Concert Master of the Alhambra Orchestra and the Miami Lyric Opera. He's also a prolific, published author, lecturer and radio host (Classic FM, Stockholm). 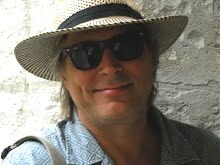 As a music critic, Lars has written for the dailies Svenska Dagbladet and Expressen (Stockholm). He also contributes regularly as a columnist for the Stockholm Financial Newspaper.